This melt in your mouth snack for self feeders has 1 Billion Probiotics per serving! 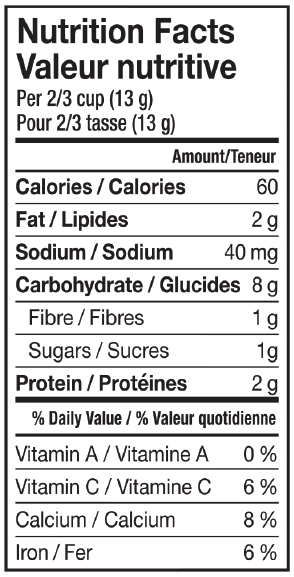 It's a good source of protein and is free from rice and gluten. 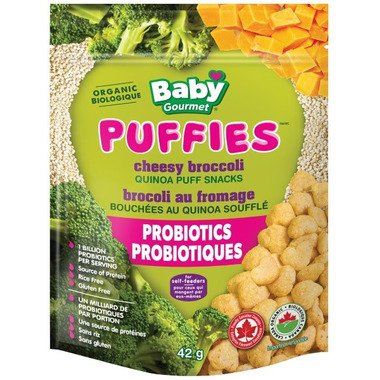 Baby Gourmet Puffies have no artificial colours or flavours and use BPA free packaging. Smell weird and quite messy... my baby didn't really enjoyed this product. Enjoyed the taste and the benefits. My little one loves these! I like that they are not the typical rice snack and they have included probiotics. Will keep repurchasing.